“There is no doubt that with the impressive credentials of Oppong Nkrumah he will do a good job. He has the experience and he answered all the questions very well to the admiration of all the members on the Committee,” he said. The president, Nana Addo Dankwa Akufo-Addo is expected to swear them in soon. There was a constitutional debate between the Majority and Minority sides regarding the nomination of Mr Oti-Gyarko as Deputy Minister for Brong Ahafo Region. 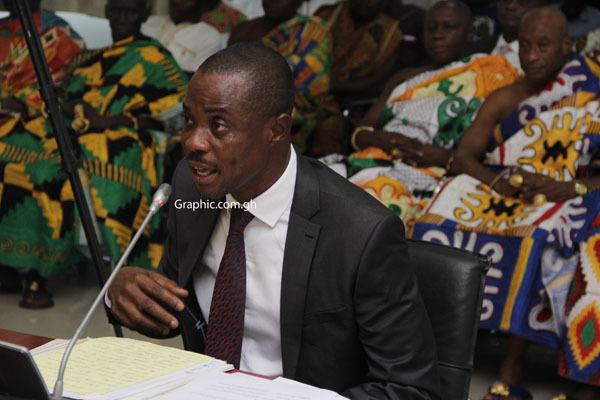 The Minority Leader and NDC MP for Tamale South, Mr Haruna Iddrisu, said per Article 256 and Article 79, the President was supposed to consult the substantive regional minister before nominating Mr Oti-Gyarko. However, he said at the time Oti-Gyarko was being nominated there was no substantive minister for the Brong Ahafo Region as the substantive minister, Mr Asomah Cheremeh, had been moved to the Ministry of Lands and Natural Resources. The MP for Tamale Central (NDC), Alhaji Inusah Fuseini, supported the position that the nomination of Mr Oti-Gyarko was unconstitutional because there was no consultation with the minister.